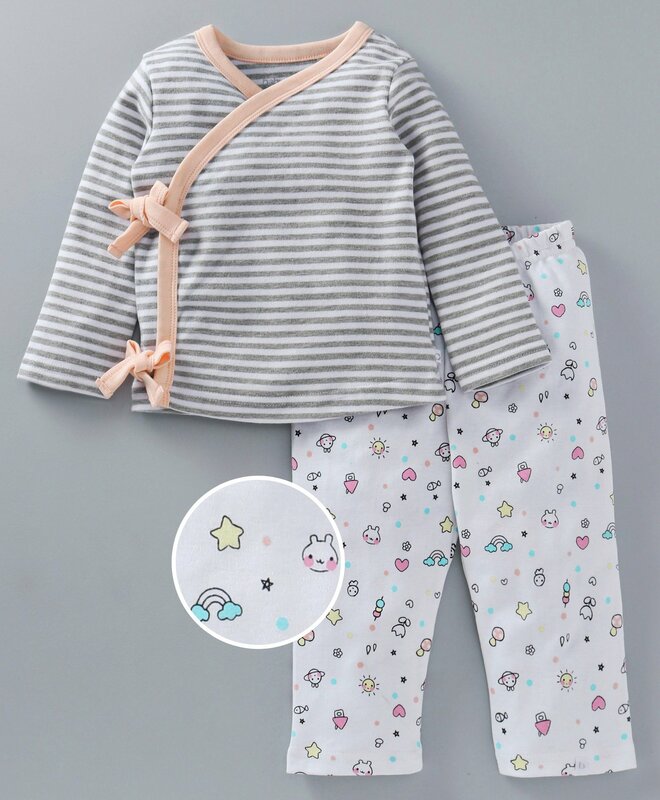 Keep your little one relaxed and comfortable in this full sleeves tee and lounge pant from Babyoye. Adorable pattern and print makes it visually appealing. V neck front open tee and elasticated waist pant provides fuss free dressing. 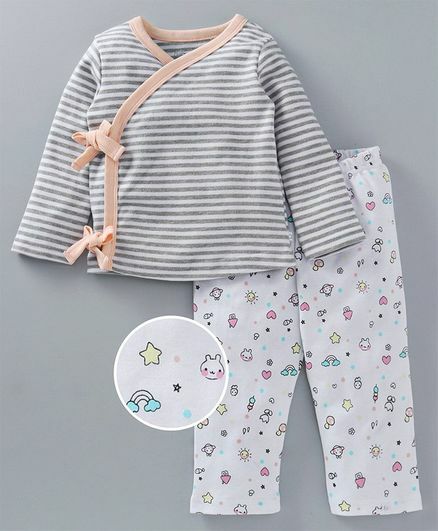 Made of soft fabric, this set will keep your kid comfortable all night long.